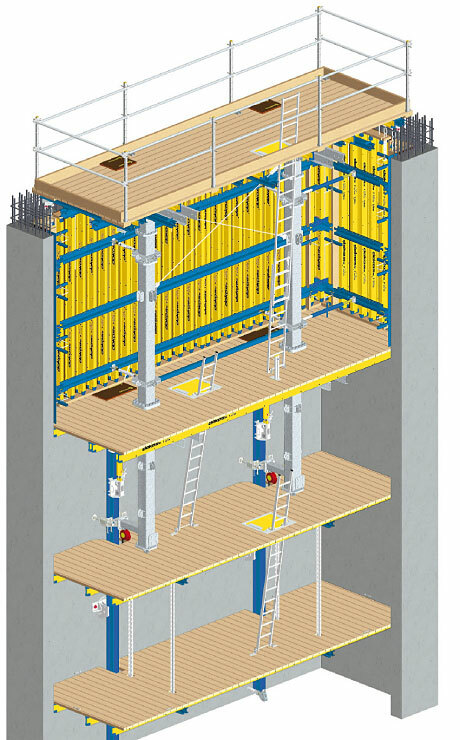 Automatic climbing formwork SKE50 plus, with a load capacity of 5 t per parallel climbing unit, is the ideal solution for many different types of assignment. As well as for forming high-rise cores, industrial structures, bridge piers and pylons, this innovative system can also be used for constructing facades. This is the design variant with rising working platforms, enabling work to proceed simultaneously on several levels. 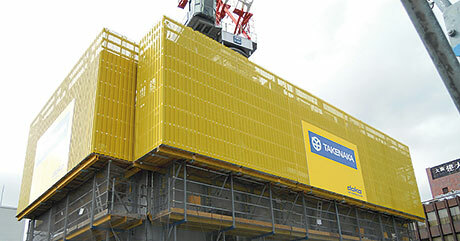 This allows the forming and rebar operations to be 'de-linked', so as to shorten the cycle times. The high load capacity of 10 t per climbing unit also makes it possible to reposition extra payloads such as reinforcement steel, containers and concrete placing booms. 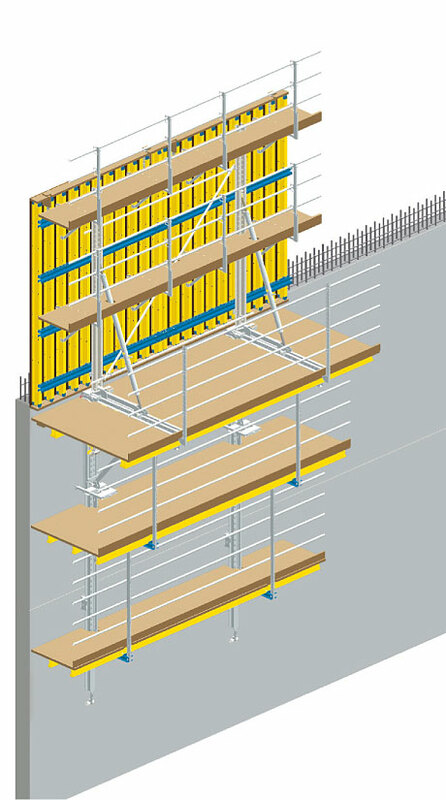 Automatic climbing formwork SKE plus is definitely the 'safe' choice of system. Its wide, fully railed-in working platforms, the well thought-out access paths and the gapless-enclosure option all make for a high level of safety at your site. Up to 20 automatic climbers can be raised from one casting section to the next by a single hydraulic unit. When inside-shafts need to be formed cranelessly, this shaft system greatly boosts the speed of work. 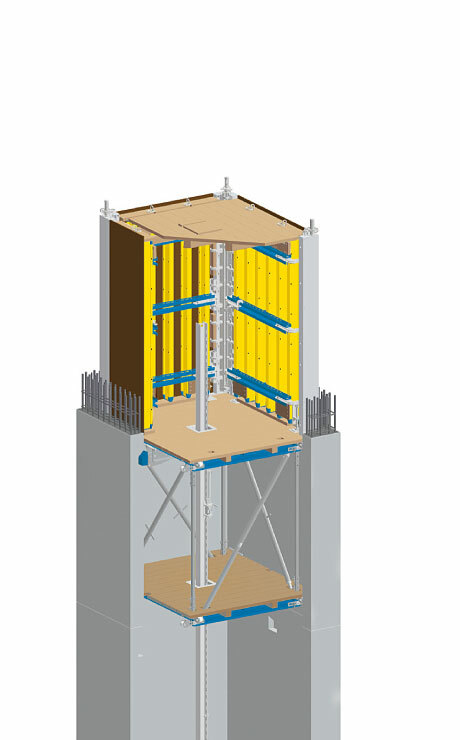 Exact adaptability, straightforward formwork operation, combinability with the Framax stripping corner I, re-useable anchoring components – these are just some of the many advantages of this innovative system. This system combines high load capacity with generous workspace. As the system only needs to be anchored in one wall, the mast system can be used not only in shafts but also for forming simple walls and even 'single-pour' walls + floor-slabs. 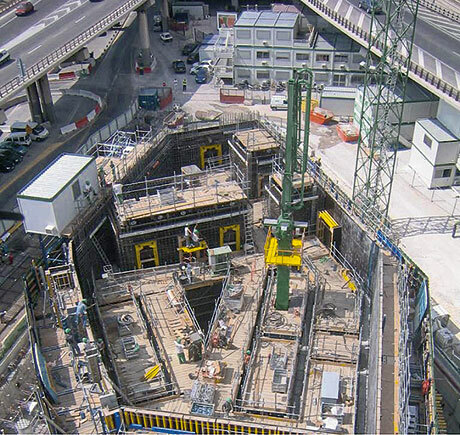 Where space is at a premium – in structures such as the Tour CMA in Marseilles, France – self-climbing systems from Doka are an ideal formwork solution.